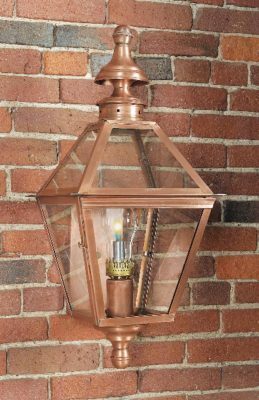 First & foremost you will love the charming petite style of Hammerworks Copper Onion Style Wall Lanterns Model OL6. These handmade reproduction onion Colonial Wall Lanterns are perfect for a side door or perhaps a backyard shed. Especially relevant just as with the larger sizes like New England Style Onion Wall Lights OL10 we handcraft these Colonial Onion Lights from solid copper or brass. While the OL6 model is the smallest, we offer five sizes in total. In contrast the largest of these are the imposing Onion Copper Wall Lanterns RG12. With so many choices you will easily find the right size Colonial Onion Wall Lights within our collection. You’ve chosen Colonial Onion Lights for the home entryways & garage. Now it’s time to choose a post lantern for your driveway and some overhead lighting for the covered porch. If you want to carry the classic look of Colonial Onion Lights throughout these areas we’ve got just what you need! First of all Colonial Onion Post Lanterns PRG12 create a dramatic accent in front of your home. Or if you prefer the “squat” onion globe choose Onion Post Lights POL12. Now continuing to overhead lighting you can choose between ceiling or pendant mounts. Therefore either Hanging Copper Onion Lights HOL10 or Colonial Ceiling Onion Lights OCL108 are ideal. Need something larger or smaller? All of the overhead Onion Lights are available in five sizes so you’re sure to find the right one. Perhaps you like to mix it up a bit. If so we offer an incredible selection of both Colonial Post & Wall Lanterns to complement the Colonial Onion Wall Lights. Our Colonial Post Lanterns cover a wide range. 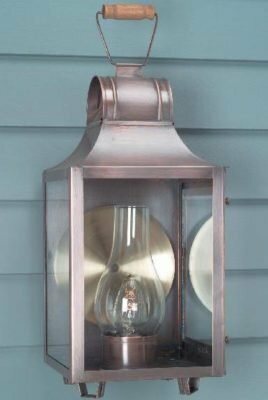 From the classic Colonial New England Style Copper Post Lantern Large Sturbridge P101 to the primitive Cape Cod Post Lantern Culvert PC107 our designs are sure to please. The same can be said of the Colonial Wall Lanterns. Choose the simple yet elegant look of Cape Cod Colonial Wall Lights W106. 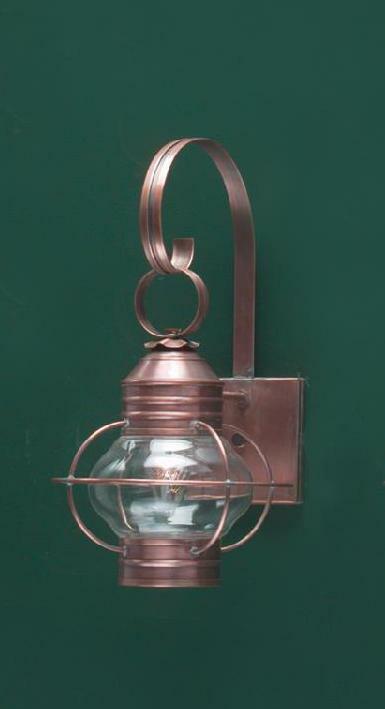 In addition the design of Traditional Copper Wall Lantern Small Post WM112 is quite popular. No matter what our commitment to quality and value always shines through.